Working out is a great way to improve your body and mind. Strength exercises help build up your muscles, while yoga can help you relax during stressful times. The trouble, however, is that it takes a fair amount of commitment to work out consistently, and some people cannot find the motivation to do it. If you want to work out more often, use these tips to find the inspiration you need. If you want to find the inspiration to work out, the first thing you should do is set goals for yourself. One of the reasons people have trouble working out is because they try to throw themselves into it without a plan. They don’t know what they want to accomplish by working out, and they usually give up before doing any actual exercises. 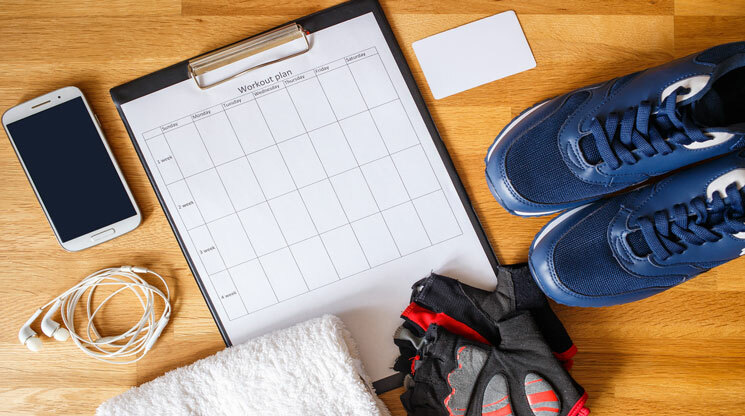 If you’ve ever fallen into this trap, you should write a weight loss goal, a list of exercises you want to try, and the amount of reps you should do during each exercise. Follow through with these goals, and as your strength improves you can adjust these goals accordingly. This is a surefire way to show that you are making improvements, and this can inspire you to keep working out. Sometimes all it takes to find inspiration is a quick change of clothes. An easy way to get in the mood for a workout is to put on some clothes that are suitable for strength exercises or yoga. Put on a light t-shirt, some shorts, or whatever else you wear when you prepare to work out. Some people wear these clothes to stay cool in hot weather, and since people wear them during workouts they suddenly get motivated to work out. Try it some time, and before you know it you just might find yourself with the motivation to go for a jog. Another great way to motivate yourself into working out is to create a playlist of songs you can listen to while you exercise. Many people listen to music while they work out, and there’s a good reason why. People tend to focus more on the music during a workout, and this makes it easier to exercise for longer periods of time. Find some upbeat, energetic songs that you enjoy listening to, and load them on your phone or music player so you can listen to them while you exercise. Try not to get too into the music, because working out for too long can cause muscle strain. If you have trouble finding the motivation to do something, it helps to have someone to push you forward. Try scheduling workout sessions with your friends so they can help motivate you into doing more exercises. This can be especially helpful if you have a bit of a competitive side. When you see how much work your friends are putting in, you just might find the motivation to push yourself just a bit harder so you can be on par with them.